rollout the 4G LTE but unfortunately, nothing happen. be happening yet. 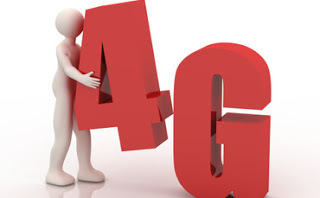 Every other Telcos have rolled out 4G LTE in Nigeria except Airtel. Airtel NG partnered with Ericson for core network upgrade. thereby enabling faster mobile broadband. networks. Tap Search networks to initiate a search. After a short period, a list of available networks will be presented to you. Let us know if you see Airtel NG 4G listed or not. sure 2018/2019, you should begin to see smartphones with 5G support. not seeing it in mine. reporting from owerri. not visible. here in Enugu town. Don't think is out in owerri. but will check. Airtel are behaving like what I don't know. I just tried it. 4g ain't available yet in Abj. At last Airtel joins it's peer on 4G. I saw it once early this week. And it disappeared within 5 seconds. Then I thought its just my imagination.